European shares retreated on Wednesday morning as a new batch of corporate updates prompted fresh concerns, particularly on the tech sector, and added to worries about a global growth slowdown and the Sino-U.S. trade negotiations. 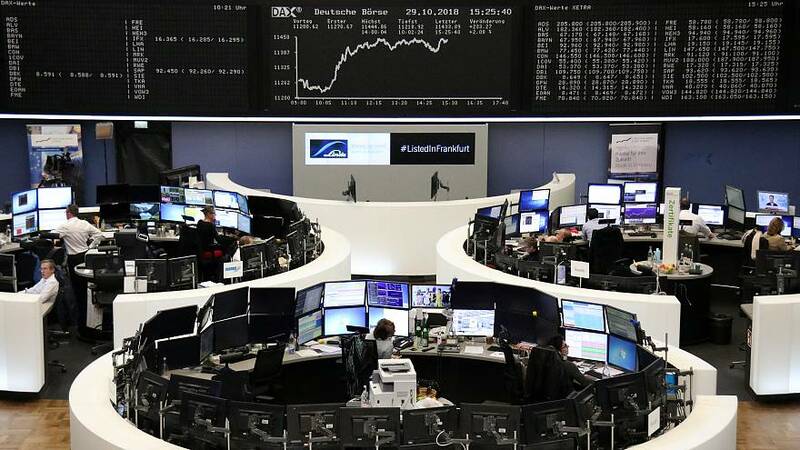 At 0819 GMT, the STOXX 600 <.STOXX> was down 0.5 percent, with bourses all across Europe losing ground and a number of steep individual falls at the open. A profit warning by Ingenico sent the French payment group down over 12 percent and hit the whole European tech sector <.SX8P>, which retreated 0.9 percent. Still in the sector, ASML Holding NV , a major supplier to the world's largest computer chipmakers, fuelled more concerns and caution among investors as it warned first-quarter sales would be weak, with some of its customers delaying orders into the second half of 2019. European retailers were in a much more comfortable spot and trading in the black after supermarket groups Carrefour and Ahold Delhaize posted their trading update and gained 5.4 percent and 2.9 percent respectively.